At Direct Mail Plus our “bread and butter” comes from helping other printers and brokers in our industry. Once you engage Direct Mail Plus, you can step back and let us work for you. We always maintain a loyal relationship with our printing industry customers. 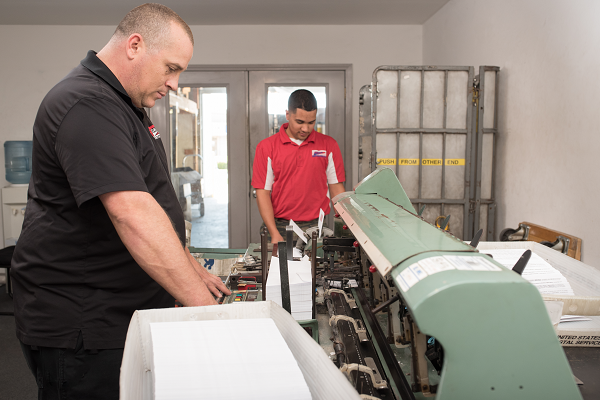 Direct Mail Plus offers a turn-key solution for your printing and mailing jobs, or we are willing to help with any portion of the process – data processing, printing, addressing, stuffing, affixing tabs or stamps, or hand work. Let us answer all of your mailing questions and be your resource for postal regulations. Seamlessly sub-contract your mail services and personalized printing to Direct Mail Plus so that you can back to running your business and let us be your go to complete company Mail Services Department.